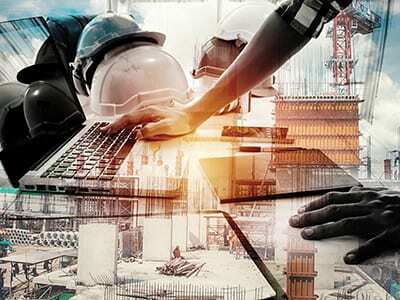 Truly transformational change is upon the engineering and construction (E&C) industry, and some consider the trends that are occurring today to be enabling the most significant evolution in history. Cumbersome document-based project execution is transitioning to robust, data-centric execution, as innovators seize opportunities in emerging technologies and ongoing expansion in cloud-based environments. E&C contractors that embrace, define and drive change will flourish, while those that dawdle will find themselves in the undesirable position of reacting to change. Several contemporary studies [ 1] document how E&C industry productivity has lagged over recent decades relative to other industries, and identify the catalysts that are driving this change. Collaboration is a dominant theme in the path to increased productivity. Opportunities for productivity-enhancing collaboration are presenting themselves in many spheres – regulatory, organizational and contractual. Of these, one of the contractual paths stands out – the path to BIM 6D. Once E&Cs evolve their processes as part of this data-centric paradigm shift, they will be able to deliver a BIM 6D model to the owner upon construction completion, populated with relevant building component information, such as product data and details, maintenance and operation manuals, cut-sheet specifications, photos, warranty data, web links to product online sources, manufacturer information and contacts, and more. Data will be accessible via tools (devices and platforms) and from cloud-based data sources, to facilitate operation and maintenance of the facility. This article distinguishes the regulatory, organizational and contractual aspects of project management and the trends that are driving the path to 6D, and offers recommendations for how E&Cs can use this path to implement paradigm-shifting work process changes that can significantly enhance productivity. Building information modeling (BIM) is a process involving the generation and management of digital representations of physical and functional characteristics of places. BIM files often (but not always) involve proprietary formats and data, and they are typically used to support decisionmaking regarding a building or other built asset. Approximately two decades ago, owner and operators throughout the chemical process industries (CPI) began requiring a 3D model as a deliverable from E&Cs whenever a capital project was handed over for operation. In the near future, E&C contractors can expect to find owners and operators requiring delivery of a 6D model as the key deliverable with the facility at handover. Why is that? While a 3D model has historically enabled owner/operator personnel to maintain and update a centralized engineering database of the facility, the delivered facility still came with volumes of documents and manuals produced from a document-centric execution process, and all of those support materials needed to be managed through a centralized control and storage organization. Owner/operator maintenance and operations personnel needed to access key plant information from within this document storage and organization system, whether via hardcopy documents and manuals, or via an electronic data management system (EDMS) – a cumbersome process in either case. By contrast, a 6D model produced using a data-centric execution process centralizes and streamlines information access for all stakeholders, because it is object-centered, not document-centered. Whereas in a document-centric environment, an operator or technician might need to chain through multiple documents to find the information sought, whether it was a maintenance log of a pump or a list of parts for an instrument, a 6D model with fully developed attributes at the object level – the operator's pump or the technician's instrument – enables that individual to visualize the object (a pump or instrument, in the example above, or any other object) via a model viewer, and directly access linked information from the object through associated attributes. Model viewers display the 3D model much the same as the design-authoring software, but do so from a static file that is created on a regular basis (generally daily, with the file compiled overnight). Model viewers are also able to display object, or component, and attribute information associated with that object, to the extent that attributes are defined and data are associated. Model viewers allow remote staff to view the objects in the facility and drill down to the object sought – say, the pump or instrument above – in much the same way they would do so physically. If they know the generic description of the item, say "demineralized water storage pump," or "hydrogen gas bulk-feed pressure regulator," or have an identifier of the item, such as "WD-MT-001" or "PG-PCV-001," then using the model viewer query functionality, they can drill down to and visualize the object virtually in the model in its adjoining environment, without actually being required to do a site inspection. Alternately, if they know the area of the facility but are not certain of the item sought, they can open the model viewer, drill down to the area sought, and then navigate in the model to find the item sought, just as if they had to do the same physically in the facility. If the object has a fully developed set of attributes – such as specifications, design data, manufacturer name, manufacturer part number, manufacturer inspection records, constructor installation records, maintenance records – with direct links into an EDMS system that contains associated records, the operator or technician can directly access this information via numerated links in the model viewer without the need to exit the model viewer and access the EDMS system. Conversely, if the model viewer can be accessed via a cloud-linked tablet (Figure 2), this enables the operator or technician to access the same information standing directly in front of the object – the pump or instrument – and to troubleshoot on the spot, pulling up necessary information, such as inspection records, materials certifications and so on, without having to run back to a centralized work station, or worse yet, to a document-control office. Aside from the reduced time needed to access the information, the improved timeliness associated with making a decision to take an object off line or out of service, particularly when shutdown or safety considerations are involved, allows for better-informed decisionmaking. Today's modeling tools provide a strong platform for E&C companies who successfully transition to a data-centric execution process to deliver a 6D model. But there are two huge challenges these contractors face: (1) model scope, and (2) model integration. The greater the challenge, the greater to opportunity – and in both of these challenges lie opportunities that present E&Cs with the opportunity to lead and define change, instead of being left in the dust to react to it. Model scope.E&Cs have been using computer modeling of facilities for more than four decades, although the first models were not created using software that mimicked a design process, but instead consisted of data input from scaled plastic models. The primary benefits from 3D models have historically been the ability to both produce drawings from the model and perform clash-checks. As a result, the 3D model scope has historically been limited to inclusion of only those disciplines and objects where the time involved to input model data and associated value was outweighed by detriments associated with manual drawings, specifically the inability to identify clashing attributes and extract data. Electrical bulk materials are a good example. Most E&Cs will model medium- and high-voltage cable and associated raceway, but leave low-voltage wire and cable and small-diameter conduit out of the model. In this scenario, the E&Cs will generally install the low-voltage wiring in the field, and document it using as-built drawings. There are similarities in instrumentation, although most piping and civil/structural materials do end up getting modeled. The trend is toward modeling more, not less, but until such time as owner and operators require the vast majority of objects in the model, E&Cs will still define model scope based on executional value obtained from modeling objects that are directly related to construction execution. The E&C firm uses the model primarily for engineering personnel to communicate to construction personnel about how to build the facility, and to document the physical facility, inclusive of materials. If the construction craft knows what to do without having it articulated in the model, for example, how to route minor wiring, or how frequently wiring may need cable ties, then there is no value to the E&C to expend resources to include such detail in the model. If the owner/operator states a level of detail to be in the model that exceeds what the E&C sees as value-added, then the E&C will add it. But not unless required to do so. While it is unlikely 6D models will ever contain actual modeling of every minute object in the facility – down to the last screw and washer – we can expect that 6D models will eventually model most objects, and when it comes to items such as minor hardware, to have those items still fully detailed in reference data in the model. This includes a list of installation parts that goes with a minor component such as a conduit fitting. Model integration.Model integration creates the biggest challenge, and the greatest opportunity for E&C productivity enhancement awaits there. Even where an E&C provides the engineering for the entire facility, every facility employs a significant amount of complex equipment contracted from specialized suppliers. Many of these components and systems experience a comprehensive design evolution with a free-standing 3D model of their own. These models will need to be compatible with the model that is produced by the E&C, and eventually integrated into a final 6D model for delivery to the owner/operator. Such equipment includes fired heaters, heat-recovery steam generators (HRSGs), complex compressors, turbines and more. Meanwhile, when the E&C subcontracts a portion of the design to a subcontractor, or the project is structured as a joint venture, models developed by the different contractual parties will need to be compatible and integrated with the prevailing 6D model, as well. This may sound quite daunting. The first issue above – model capacity – will be resolved via ongoing advances in technological processors. The second issue – the legal status of data – needs time, to allow the legal community to catch up with technology; in the meantime, E&Cs should consult legal counsel to carefully protect themselves in this relatively uncharted area. The third issue – improved collaboration between contractual parties – is where the potential exists for E&Cs to transform the stodgy, historical, iterative design process into a more robust, accelerated design process. E&Cs that are able to establish collaborative design processes with their suppliers, subcontractors, and joint-venture partners will be able to significantly reduce design-related costs and shorten project schedules. Design authoring 3D model software allows E&C disciplines such as civil, structural, architectural, piping, electrical and instrumentation systems to evolve the design simultaneously. However, current-state document-centric processes relating to pivotal equipment – primarily mechanical equipment and some instrumentation – force the design process to be iterative, with the core design constantly being impacted by updated supplier data as the equipment design evolves in parallel much the same as the facility design evolves. As noted above, such major equipment includes fired heaters, large compressors, pumps, turbines and more. In a document-centric design process, these suppliers communicate with the E&C via document submittals. Information is exchanged at key project milestones, at which point the supplier's designs and drawings achieve a certain level of design maturity, and communicate a large amount of information in a block, despite the fact that much of the information may have matured some time ago. These submittals often require the E&C to adjust the design upon receipt of the supplier drawings, and possibly add comments for the supplier on certain unacceptable aspects of the design. Not only does this cumbersome document-submittal process delay the finalization of the E&C design, but if the submittal results in comments back to the supplier, then the supplier's design experiences a similar iterative impact, which may further impact the core E&C design. Most iterative design changes are small – but they can significantly impact the final piping, design drawings, and have cascading impacts on structural steel and even civil engineering requirements, sometimes causing foundation shifts, which might then impact related underground electrical and piping facilities. As E&Cs transition to data-centric execution, a more-streamlined process whereby the contractual parties – the E&C and its major equipment suppliers – exchange information via regular model exchanges will accelerate information exchange. This newer approach offers the potential to completely eliminate the cumbersome document-submittal process, and supports the delivery of a 6D model (Figure 3). Affected parties have done what they can to optimize the existing, cumbersome document-submittal process – identifying drawings and data to be submitted, and attempting to break up submittals in logical groups of information. But for large, complex equipment, the number of drawings and documents can reach into the hundreds, and there can be dozens of individual submittals of groups of drawings, each of which has the potential to necessitate repetitive submittal. And these document-submittal processes have required E&Cs to create entire bureaucracies (for instance, dedicated document-control organizations) that manage these submittals. Document control teams receive supplier documents into the document-control systems, whether this is an EDMS or a hardcopy system. For instance, documents are issued out to the responsible engineers, with routing around to all impacted parties, and then received back for incorporation of comments and transmittal back to the supplier – a laborious, error-prone and time-consuming process. Envision a more streamlined process where the equipment supplier exchanges model updates with the E&C company on a regular basis – at least once each week – and the E&C integrates each model update into the E&C model. The supplier's model objects are assigned attributes for submittal references (inclusive of required submittal dates), supplier design maturity, and E&C approval status, and the supplier re-integrates data from the E&C back into its core model, including acceptance status and critical design comments affecting the supplier design. All of this happens efficiently each time an exchange and update occurs. In such a process, the E&C can identify issues with the evolving supplier design early, and communicate issues back to the supplier via model-attached comments. Not only does this significantly reduce document-related iteration, but it transforms the design reviews from a cumbersome, milestone-based document-review process to an accelerated data-review process, as the object design matures. In such a scenario, the responsible E&C procurement personnel are charged with monitoring and expediting supplier progress, and they can query the model for a set of data defined as a single submittal, and ascertain if the supplier design is progressing to support the schedule dates. Similarly, E&C engineering staff can simply execute a similar query once a set of supplier objects has achieved a level of design maturity such that approval is required, and can query the status of the objects in the model, with the status being communicated back to the supplier via the next model exchange. Such a seamless model-exchange process accelerates the exchange of critical information, and completely eliminates the burdensome document-submittal process. Engineering hours are significantly reduced, the schedule is accelerated, the document-control hours are significantly reduced, and the infrastructure for a 6D model is enabled. This article discusses the benefits of a 6D model to the owner and operator of a capital-intensive CPI project. The same benefits accrue to non-design E&C personnel as they execute their duties, to the extent the information is available in the model at any given time. Procurement specialists, expeditors, quality-related personnel, logistics experts and warehousing personnel can access the model viewer and query individual objects or groups of objects to seek information or status updates, and such information can be easily accessed by purchase order number, work package or any attribute group assigned. Similarly, using this newer approach, construction personnel will have increased access to data and delivery information to plan work, create work packages and confirm construction readiness. Commissioning and startup teams probably benefit the most, in that documents that they would otherwise need to compile into hand-over packages are all available at the object level, facilitating system startup and handover. 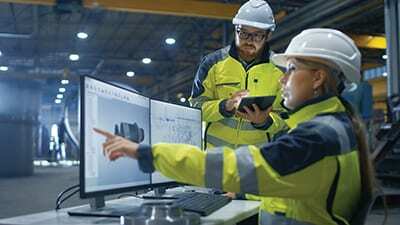 The discussion above has focused on the benefits of model integration – enabling improved collaboration – between E&Cs and their major equipment suppliers, not only as a path to BIM 6D, but to significantly increase both the design productivity of the E&C and its major equipment suppliers. There will be similar benefits with minor suppliers that have submittal requirements. And experience gained in integrating models will facilitate model integration from subcontractors and joint-venture partners, leading to the delivery of a 6D model to owner/operators. Clearly, in addition to delivering a 6D model to the owner/operator, E&Cs have the opportunity to realize significant productivity enhancements as they improve their work processes to deliver a BIM 6D model. 1. World Economic Forum, Shaping the Future of Construction: A Breakthrough in Mindset and Technology, May 2016; McKinsey Global Initiative, Reinventing Construction: A Route to Higher Productivity, February 2017. Stephen Wyss is a materials manager with Bechtel Corp. (12011 Sunset Hills Road, Reston, Virginia, 20190; Email: sewyss@bechtel.com). He has more than 40 years of experience working with engineering, procurement and construction contractors, including tenures at Black & Veatch, Pritchard, CF Braun, and Intergraph. His current duties entail coordinating materials-related aspects of engineering, procurement, suppliers, and construction, for both bulk materials and major equipment on large industrial capital projects including process plants, power plants, mining facilities, and rail facilities. His project experience has generally been in emerging economies with logistical challenges including the Middle East, India, Africa, and South America. A registered mechanical engineer in Texas and California, he holds a J.D. degree from Loyola Law School (Los Angeles) and an A.B. degree in architecture from the University of California at Berkeley.